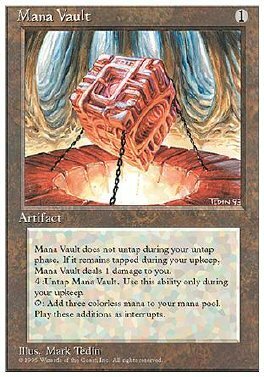 Mana Vault doesn't untap during your untap step. At the beginning of your upkeep, you may pay 4. If you do, untap Mana Vault. At the beginning of your draw step, if Mana Vault is tapped, it deals 1 damage to you. T Add 3 to your mana pool.